I realize that we are all wanting to be seen and not only heard in the industry of acting. It is a business where you must be ready when your time comes and be well prepared for the roads less traveled. During this time, many are taking it easy and have decided to close their books until the new year on their careers. Personally, I believe that my career is what drives me and I should always be working on it, even during the holidays, to be prepared for the unexpected. In this regard, I have written down five (5) steps that I will follow and I hope that you will follow, to continue to get your marketing house in order for your acting careers. It is all based on an ebook I have acquired by Max Milias, called, Total Fame: How To Become Famous Fast. You can buy it, learn all about it, and here some video testimonials of those who have put some of his information into action because he gives so much that it will take you time to put it all into place, when you CLICK HERE! Selena Brown's 2012 ACTION STEPS For Actors! STEP 1: Write down your new Goals for 2012 NOW! Do not wait until 2011 has ended, do it NOW! What do you expect to achieve in this coming year for yourself in your acting career? How do you expect to achieve it? 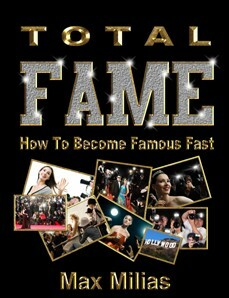 STEP 2: Purchase your ebook copy of Total Fame: How To Become Famous Fast when you CLICK HERE! STEP 3: Set the time aside each day in 2012 to READ and 'APPLY' what he is saying to you and watch your ACTIONS bear fruit! STEP 4: Keep a journal of your progress that you can come back to for motivation during the year, when things may not be going your way. STEP 5: Come back here to this post and share with me how well your results are coming! You can also create a video, telling others how these steps with this ebook has helped your career on your Youtube, Website, Vimeo, etc accounts! Well, as you know, I am working on an acting career in Los Angeles, CA. Personally, I believe that it is very important to learn from the best and understand the business that I am in. In the business section of acting, you have to understand and acquire the tools to be the best marketer as possible FOR YOURSELF. Yes, you may have an agent or manager, but they expect for you to do some footwork too! In some cases, there is no one out here in Los Angeles, CA, holding your hand and telling you how to be. You have to TAKE ACTION and become proactive with your own career. This also goes for the singers, rappers, and models, out there who are seeking some level of fame. Not all fame is the same. 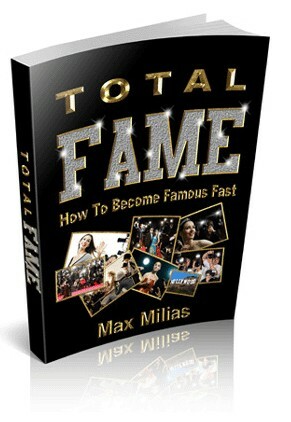 I have recently learned this by purchasing and reading, Max Milias ebook called, Total Fame: How To Become Famous Fast. He breaks down so much information in great detail, that I have made it my business to use his advise to market my acting career in an even more tactful and result-driven manner. I have been working hard this past year to establish myself and have done a pretty great job, but if I can IMPROVE in anyway, I am ready and open for the opportunity. If you are like me, an actress or actor, who wants to acquire the necessary knowledge to be all you can be and show the industry that you are serious about your career, then I suggest that you purchase Max Milias ebook, Total Fame: How To Become Famous Fast TODAY! Highly detailed, even down to what you should eat and drink! Information that is available NOWHERE else! In this video I give you a brief inside view of the hotel we stayed in when shooting the Japan Commercial! In this video I share how I'm getting to the airport to fly out to Japan to shoot my first international commercial!